Classic, timeless and exceptional, the Mayfair Dining Collection from Hanamint was created to be unforgettable. 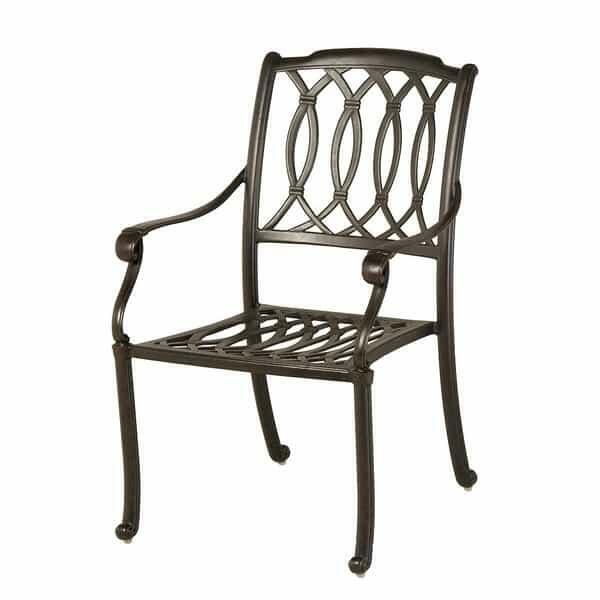 Hanamint is known for their memorable patio furniture, and this cast aluminum collection is no exception. The design is elegant, offering traditional scrolls and other motifs to create outdoor furniture that will never go out of style. 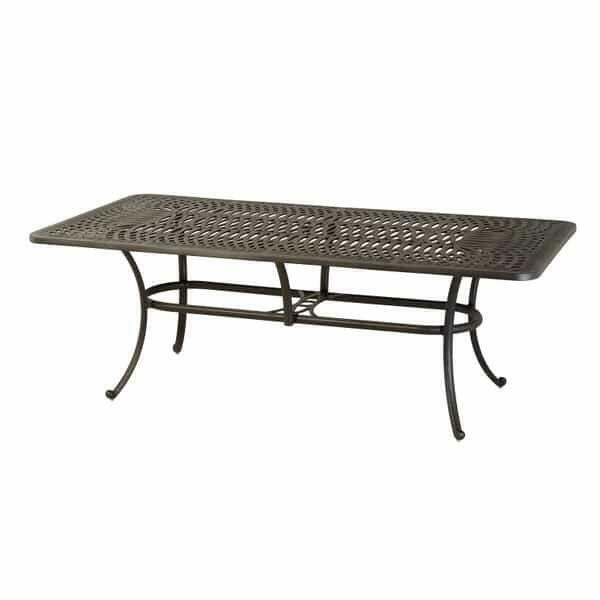 And like the timeless design, this collection is intended to last outdoors for decades, made from commercial-grade aluminum that undergoes a multiple-stage casting and powder-coating process. The powder coating not only protects your investment, but provides an authentic patina with the enduring Desert Bronze finish. 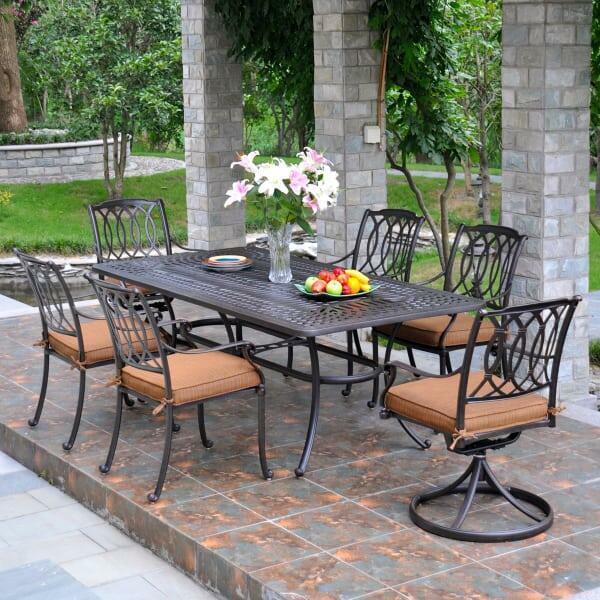 W 24.5" x D 19" x H 37.2" LBS 17 SEAT HEIGHT 16.5"
W 24.5" x D 19" x H 37.2" LBS 25 SEAT HEIGHT 16.5"